Your support improves the well-being of people like Hai-Lam. 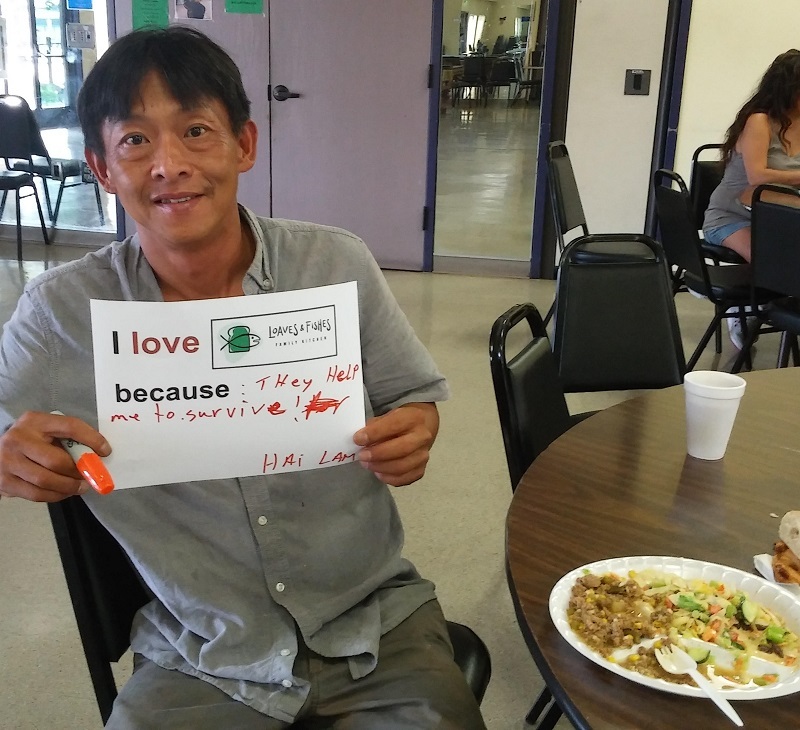 Your support improves the lives of low-income seniors, children and families, and the homeless, across the Bay Area by serving them free nutritious meals. Because of you, we served 464,755 prepared meals to more than 329,212 individuals including 100,441 meals to seniors in Fiscal Year 2016–2017. Because of you, in Fiscal year 2017-2018, we are on track to provide over half a million nutritious meals to our hungriest neighbors. Not only during the holiday season, but every day, we fight hunger with your support. You see, even with the times as tough as they are, we at Loaves & Fishes, can make your donations go incredibly far. Your gift helps us secure and distribute food through our network of 30 nonprofit partners including low-income senior residents, community centers, churches, and after-school programs. Will you please help today? There is still much work we need to do, not only during the holiday season but every day. Together we will make sure that this holiday will be happier for all in our community. Thank you for working with us to feed our neighbors! This holiday season no one should go hungry. Help us provide a warm nutritious meal by sending your gift today.